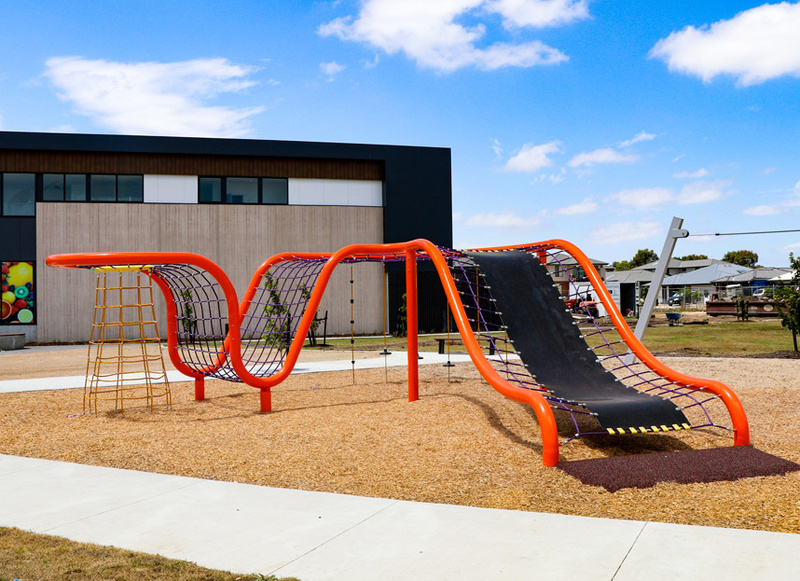 pinnacle+ Suspended Structures provide a wide range of exciting play opportunities from a variety of rope based activities contained within the same structure. They incorporate flat net areas for lounging, twisted and vertical net areas for a climbing challenge, along with membrane rubber ‘slides’ and sitting areas, balancing pommels, rope climbing tunnels, climbing ropes and more…! With the climbing nets bordered by a robust tubular steel frame and designed into interesting and innovative layouts, Suspended Structures not only have strong play appeal, but eye catching aesthetic appeal as well. Whether it be a complete circuit, or a wave shape that you prefer, the choice is yours. When it comes to play innovation, pinnacle+ Suspended Structures are at the top of the list!